A server running Active Directory Domain Services (AD DS) is named a website controller. It authenticates and authorizes all users and computers in a very Windows domain sort network—assigning and implementing security policies for all computers and putting in or change package. For instance, once a user logs into a laptop that’s a part of a Windows domain, Active Directory checks the submitted countersign and determines whether or not the user may be a supervisor or traditional user. Also, it permits management and storage of data, provides authentication and authorization mechanisms and establishes a framework to deploy alternative connected services: Certificate Services, federate Services, light-weight Directory Services, and Rights Management Services. Enables users to sign in using usernames and passwords that are used elsewhere. Creating and maintaining user accounts is no longer needed. Computer policies can be created to automatically update and secure workstations. Sharing resources such as files and printers is easier all users have access to set permissions. No longer need to provide a username and password for Outlook emails. It is more secure than other directory services (Logon Authentication). It is easy to manage, administrate and control. The speed of which it is able to provide domain names. 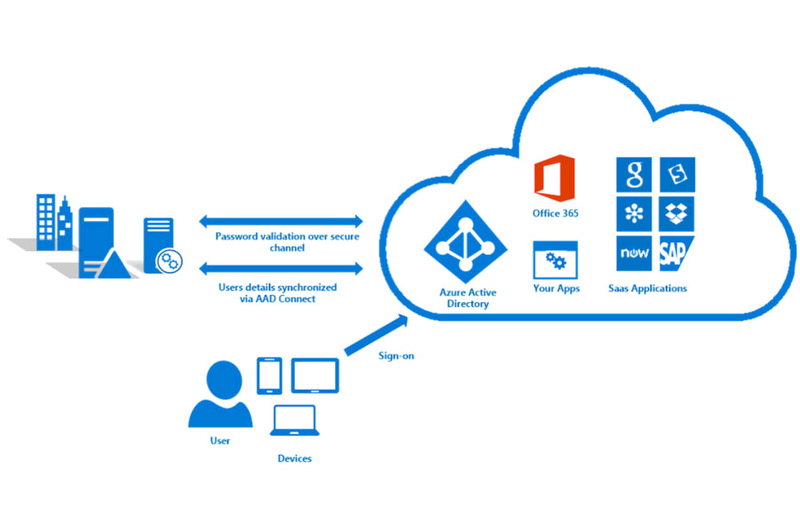 Simple identity management as you can view all user information. Lets you manage your network from one point. It is also easy to set up and use. Easy to monitor Login/Logout Time, Resources Usage & share files.